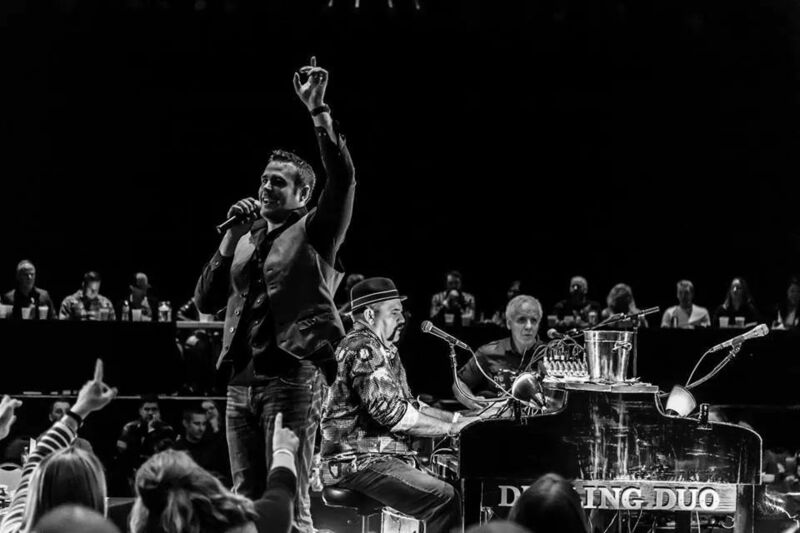 Join the Dueling Duo for a high-energy, interactive, all-request dueling piano show! Make sure to bring cash so you can request your favorite songs from the Dueling Duo. Your ticket includes dinner, a cash bar will be available, and a 50/50 drawing will be held during the event. Proceeds from the evening will support programs at The Compass Center for survivors of sexual assault and domestic violence. Your ticket will support more people like Kelsey, who is a survivor of sexual assault. When Kelsey first came to The Compass Center for counseling, she was worried about the cost. When she found out that all survivor services here are completely free, she cried “tears of gratefulness.” Your support of The Compass Center means we can continue to help Kelsey and many others like her with free counseling and other services. Tickets are $30 in advance, $40 at the door. Reserved tables and VIP table packages are also available. One reserved table for a total of 8 people. Includes dinner. The Compass Center has partnered with Give Lively to securely process your online donation. This transaction will appear on your credit card statement as "The Compass Center". This transaction is subject to Give Lively's Terms and Privacy.